Often referred to as the 'City of Gold' due to its rich gold-mining heritage, or simply 'Jo'burg', Johannesburg is a striking city of contrast and considerable wealth, despite its relative youth, being founded just over 120 years ago, in 1886. 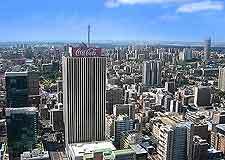 The Johannesburg of today is South Africa's financial capital and a truly vast city, being one of the biggest in the whole of Africa, after only Cairo (Egypt) and also Lagos (Nigeria). In fact, Johannesburg is growing at such a rate that it is soon expected to make an appearance on the list of the largest ten cities on the planet. Currently the world's biggest inland city, Johannesburg features a number of fortified suburbs, along with a modern city centre which is teeming with towering skyscrapers, huge shopping complexes and much excitement, with a number of new high-rise projects taking place in the districts of Midrand and Sandton. Crime levels in the black ghettos and more unsavoury neighbourhoods are especially high and sensible tourists will stick only to the recommended sights, in the safer tourist friendly areas. 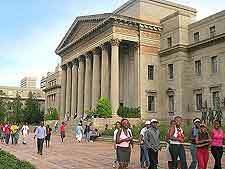 Johannesburg is also a major South African centre for education and home to the revered Witwatersrand University (Wits) and its 25,000 students. When it comes to tourist information offices, Johannesburg contains a number of different, unrelated agencies each claiming to represent the city in an official capacity. The Gauteng Tourism Authority within the Rosebank Mall does tend to be the most reliable. When you first arrive in Johannesburg, there really are a number of places that you should make the effort to see. A guided tour of Soweto (the south-west townships) really is a must, with hop-on / hop-off buses being a particularly good option. A trip to the very historical Johannesburg Zoo is also recommended, as is an afternoon at the Gold Reef City, where you will find an authentic reconstruction of how the city appeared during the gold rush of the late 19th century. For the very best views, head to the Top of Africa skyscraper building and enjoy a meal at its rooftop restaurant. More information about Johannesburg Tourist Attractions. The city's most obvious landmarks are its dominating skyscrapers, which make up the skyline and have in the past been compared with Manhattan, New York. 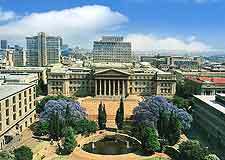 Johannesburg boasts many sights to see, with the Gandhi Square and the very spacious Nelson Mandela Square standing out, being surrounded by places of interest. Also of note is the Constitution Hill, where the Johannesburg Constitutional Court is located, as well as the prison that once housed famously both Mahatma Gandhi and also Nelson Mandela. More information about Johannesburg Landmarks and Monuments. With such a fascinating history, combining everything from the discovery of gold to the period of apartheid, the museums of Johannesburg offer tourists information about innumerable different subjects. The MuseuMAfrica is the place to be if you really want to find out just what makes the city tick, while the Johannesburg Art Gallery is actually the first museum ever to open its doors here and dates back around 100 years, containing a priceless collection of contemporary and impressionist masterpieces, together with works by leading South African artists. 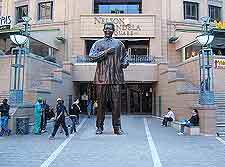 More information about Johannesburg Museums and Johannesburg Art Galleries. 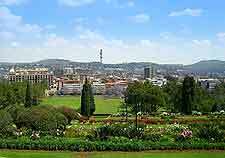 Tourists staying in Johannesburg often find the surrounding areas of South Africa extremely inviting and many choose to explore the region, with a choice of day trips presenting themselves. 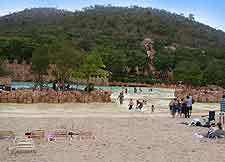 Notable destinations include Magaliesburg, Pretoria and also Sun City, an upscale South African casino resort near to Rustenburg, where spectacular man-made beaches and entertainment complexes are in store. 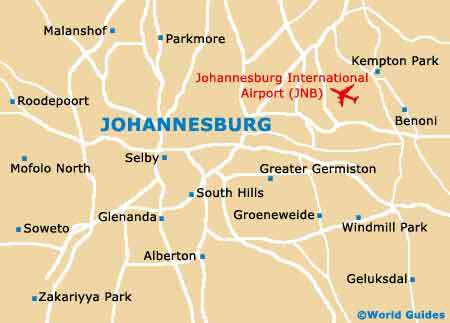 More information about Johannesburg Attractions Nearby.